We are extremely saddened to announce that ScoobyDo has been moved to hospice care. Our precious, ScoobyDo, is in kidney failure and all tests that have been performed have ruled out any other possible causes. 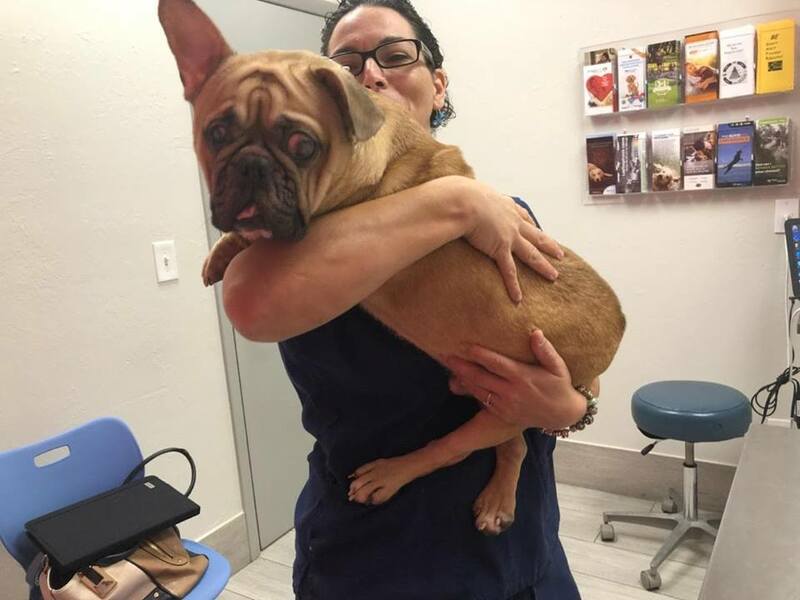 Unfortunately, Scooby was left undiagnosed and untreated for such a significant amount of time before he came to us, so we were unable to reverse any of his clinical signs of kidney failure but believe us we have tried. We have tried everything with him….AND by everything, we mean everything! Scooby is such a sweet boy who loves the attention he gets from everyone! He is always happy and loves to play, especially with his blue bone with which he is completely obsessed!! 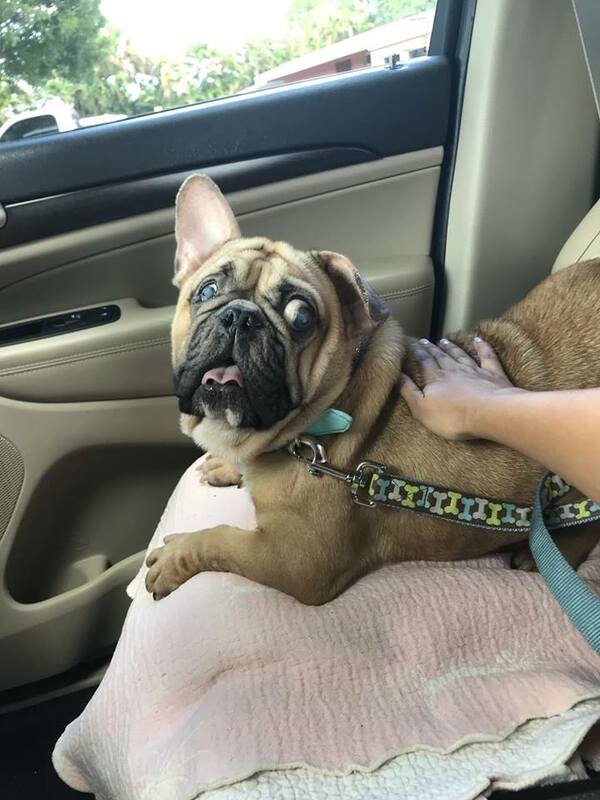 His foster family will ensure that he keeps living the best life possible, and he will enjoy all the time he has left with his foster family loved and spoiled. 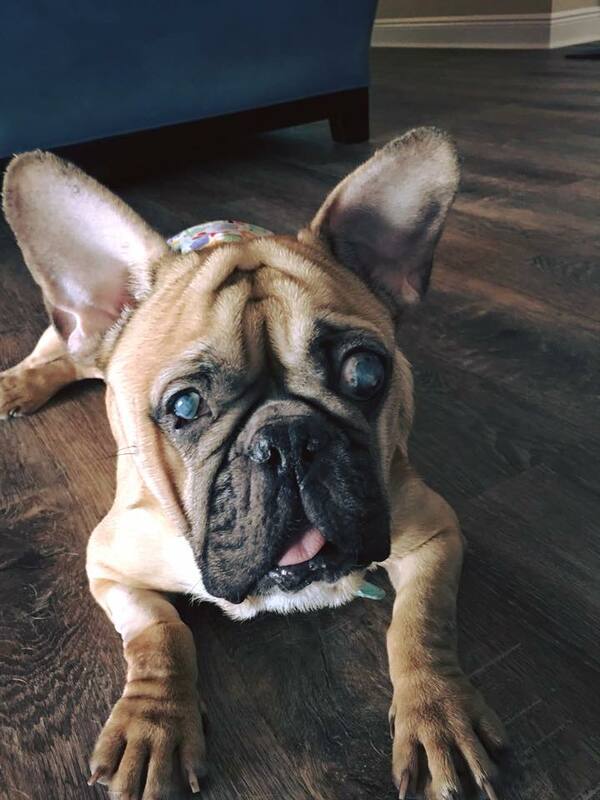 While we are heartbroken that Scooby’s kidney failure cannot be reversed, we are happy that he will be spending the remainder of his time being unconditionally loved. 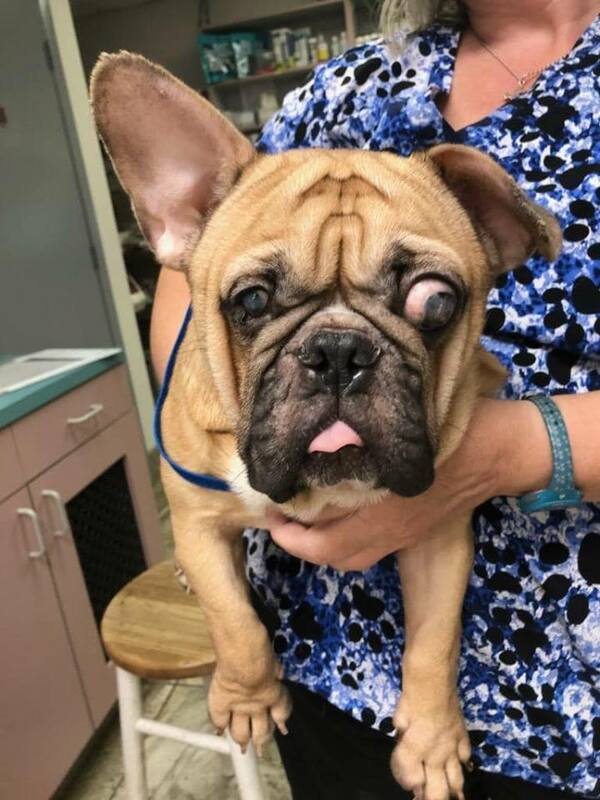 Scooby recently came to the Village at APPROXIMATELY 3 years old, with a floppy ear, blindness in both eyes, anemia and kidney failure! What a life he had as a “breeding dog.” He has been diagnosed with pyelonephritis, a chronic kidney infection, which led to anemia. The kidney infection probably first started with an enlarged prostrate; he was never neutered. The infection in the prostrate then ascended into the kidneys. He was diagnosed as borderline in need of a blood transfusion. However, the vets suggested that due to the slow progression of the anemia rather than transfuse we try a medication to stimulate his body to make more red blood cells. This medication has to be given by injection every 7 days and a 30 day supply costs $300.00. He is on a prescription kidney diet and probably will need to remain on this for the rest of his life. Once his anemia and kidney values improve we will address his eyes. He will probably need to have at least one of his eyes removed due to increased pressure in that eye. In the meantime, Scooby is getting great care. 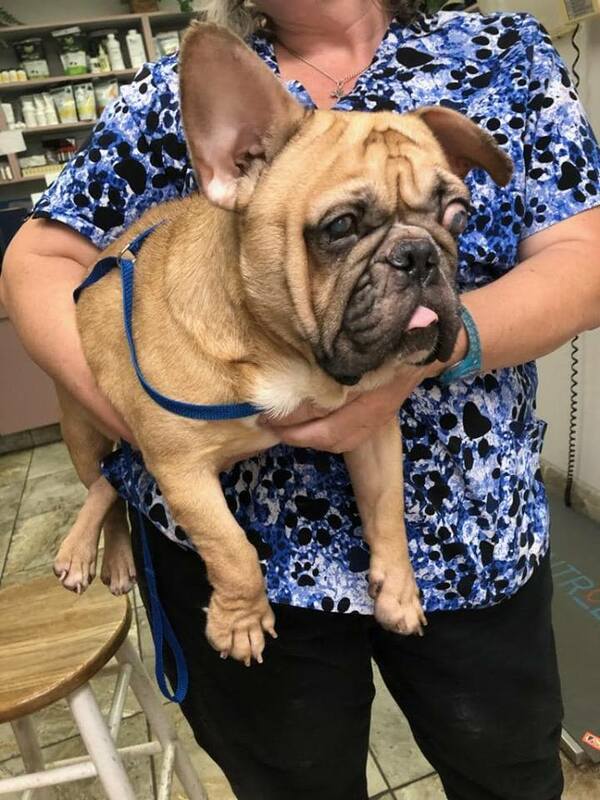 His foster mom is a Vet Tech well able to monitor his condition and give injections. 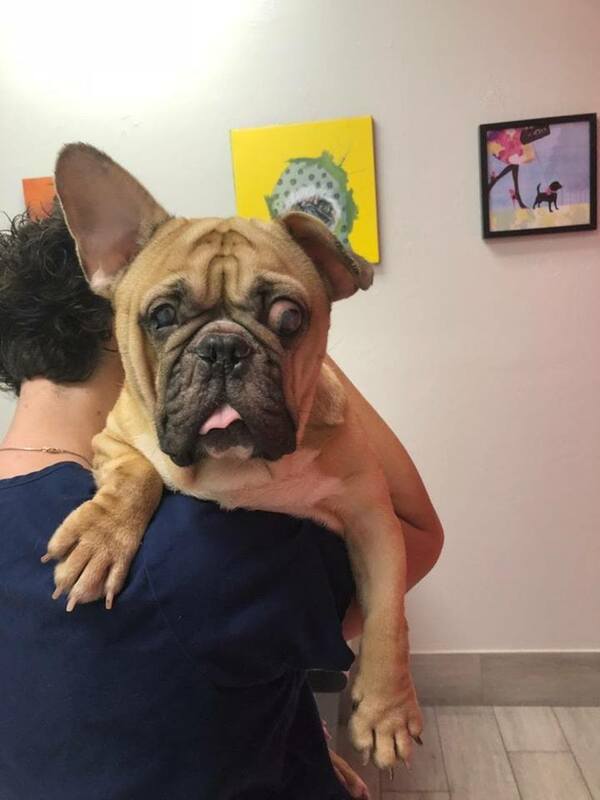 This sweet little man has probably struggled for a long time with these issues but he is on the road to a healthier life…and his floppy ear just popped up yesterday! We Villagers call it miracle ear! This is the dirty hidden underbelly of rescue…and more often what we see than not! But…we need help! Please donate, any amount is welcome, as we have some pretty weak kids who have come to the Village recently and in true Village fashion we plan to do the best for them…The Village may be small but our hearts are big! Won’t you please help us to help them?